Living in America, it often feels like Christianity is in its decline. In 1910, 93% of all Christians in the world lived in Europe or the Americas. Today, that number is 63%.For our society, the significance and beauty of the gospel has faded in an age of material wealth and busy schedules. In reality, the gospel is not dying out or fading - it’s just that its center has shifted dramatically. 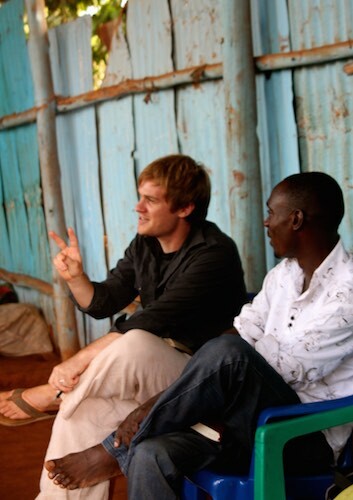 Today, 1 in 4 Christians live in sub-Saharan Africa. In the last century, Christianity has spread more rapidly there than any other region of the world - it has seen a 60-fold increase in the number of believers! Many people ask us: Why South Africa? Our answer: the gospel is spreading like wildfire in South Africa. That creates a huge need for Biblical education, pastoral training, and church support. Today, you and I have more than 516 million brothers and sisters in sub-Saharan Africa, hungry to know God, eager to understand His word. Our brothers and sisters need us. As people come to faith by the thousands, theological education and Bible study opportunities remain scarce. In Tanzania, we met pastors who came to Christ, and less than a year later, had dozens gathering in their home, looking to them for spiritual leadership and teaching. Untrained, unsure of themselves, they pray God will help them; they shared of nights lying awake, wishing God would send someone to support and teach them. In Rwanda, we saw the shadows left by the light of this revival. We met a “pastor” who had an obsession with building his personal wealth - the gospel he preached was not the truth, and he preyed on his congregation’s generosity. The people in his church didn’t know better -- no one ever gave them a theological foundation or taught them to read the Bible. Desperate physical needs abounded in his congregation, unmet, while the pastor’s house grew larger, his clothes ever more extravagant. You can imagine our delighted response. Jack had more fun that month than perhaps any other on our year-long journey. I loved teaching community health classes, weaving together Scripture and topics in family wellness, working to empower African women. The month passed too quickly, and we still find that our hearts yearn for those days. Why South Africa? Where there is a need, God provides. 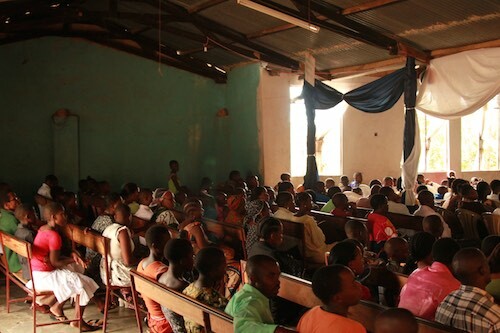 The faithful in Africa have been praying that God would send them teachers. And to our surprise, sometimes the Spirit whispers that WE are how God will answer their prayers. We know our answer - but we can’t do it alone. Would you consider answering the call with us? We are 30% funded, and praying that God would provide more partners to join us in this exciting ministry. We are passionate about equipping our brothers and sisters for the work of ministry. We know God has wonderful things planned for His church in South Africa. Would you join us?